As the parent of 2 children who lost their father ages 6 and 9, I do not make much of a fuss around Fathers’ Day (I do not around Mothers’ Day either to be honest!). However if you want to look at stories with interesting father figures in them, here is my top 3.. well the list has grown since my original post but these are my favourite! This is the story of a hen who looks for somewhere quiet to lay her egg… will she get her new chick a doting father on the way ? It shows that families, for all sorts of reasons, come in all shapes and forms! 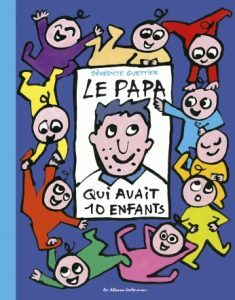 After the success of the original story of this single father with his 10 children, there is now a whole series of books telling their adventures. 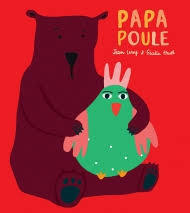 This is by the same lovely author as “Je m’habille… et je te croque” and the “Trotro” books (discover them here). A beautiful book not to miss!! 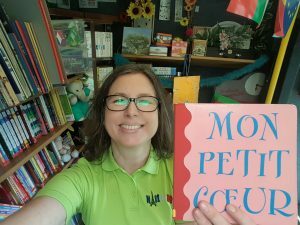 Read my blog here for ideas on how you may exploit this cute book. 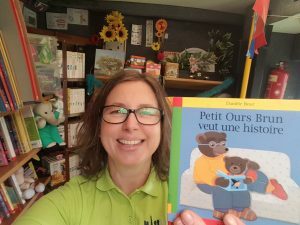 This book is like a "déclaration d'amour", a declaration of love, most likely by a parent to their child... hence the reason why I include it in this blog! Click here to find out why I highly recommend this story and what you may do with it. What is your favourite story to use around Fathers' Day? Please tell me in the comments box!